Today’s topic for Top Ten Tuesday: What books/authors would you recommend to people who haven’t tried (((pick a genre))). So of course my pick is dystopian!! I’m a sucker for a good post-apocalyptic book, whether is written for adults or young adults I love them. There’s just something about reading a book about a bunch of survivors. It shows the best and worst of people. These are in no particular order because I love them equally. 1. 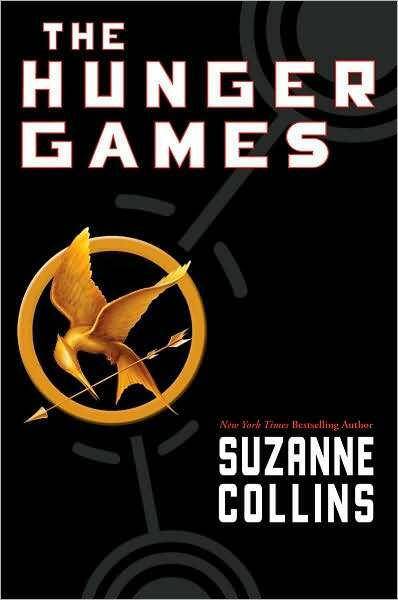 The Hunger Games by Suzanne Collins: I feel that even putting this book on the list is a no brainer, but for those that have never read it, The Hunger Games is a wonderful place to start. Set several hundred years in the future after global warming and wars have nearly pushed the human race into extinction, what is left of the United States is a band of 12 Districts and the Capital city. This particular trilogy shows a group of survivors that must rise up against a corrupt government if they ever want a chance to live a free life. 2. 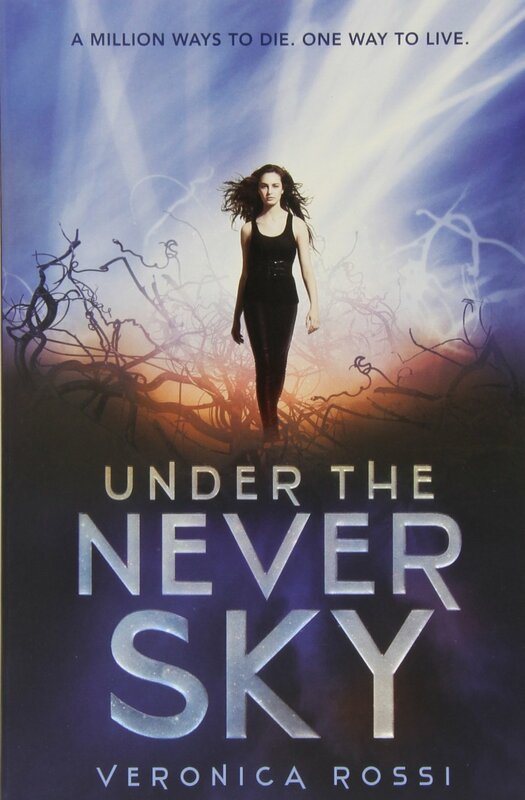 Under the Never Sky by Veronica Rossi: What I love about this series is that it is a unique blend of science fiction and dystopian all wrapped up nicely for the young adult audience. Set during a time when the ozone layer has been destroyed and the sky is filled with a constant current of aether (a mixture of gases) that cause storm after storm…think fire raining down on Earth…people were taken into sustainable structures called pods after a lottery to determine who would be allowed to survive, but many were left to weather the aether. This book is all about survival and what happens to people when left too long. 3. Divergent by Veronica Roth: This series is a clean, young adult read, meaning that there is minimal to no cursing and the violence is not gory. If you’ve seen the movie, then you’ve essentially read the book. It is one of the closest book-to-movie adaptations I’ve ever seen. Also this book put indie authors back in the main stream media. Many people were upset by the end of the trilogy, but the author wrote this series very realistically, and scary thought…..it could happen! 4. Through Glass by Rebecca Ethington: This is a serial series and I love it! It is one of my favorite post-apocalyptic series and it falls into the sci-fi and horror genre. The author creates creatures that take over the world and the sky turns black. No light, no human contact except those that you live with. Unfortunately for the main character her family isn’t at home when the sky turns and she’s alone. Each episode is roughly 60-80k words making it a quick read, and they are highly suspenseful. Like edge of your seat, reading til you finish it, and begging for their to be just one more page. 5. The Moon Dwellers by David Este: I read this book back in June and it hooked me. If you saw Armageddon or Deep Impact as a kid, the circumstances that cause this dystopian world are very similar. Set roughly five hundred years after a meteor destroyed Earth, people live deep underground and are divided into three realms: Sun, Moon, and Stars. Think of these realms the way you think of economic classes. Basically it’s time for a revolt and the series is set around it. This is a very unique story that I haven’t been able to sit down with a total of 7 books in the series. 6. Until the End by Tracey Ward: This is for the zombie lovers out there. I’ve never cared much for zombie stories until I read this one. The author’s take on zombies is fairly unique and scary as hell. This particular dystopian starts on day one of the apocalypse and follows two characters and their struggle for survival. Ultimately I loved it! One of my favorite reads this year. 7. 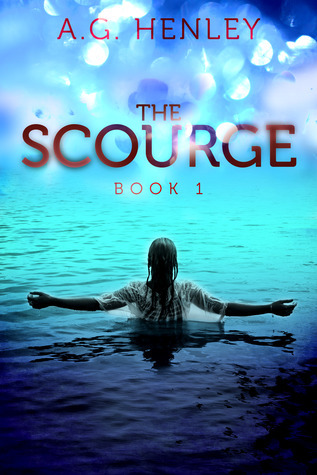 The Scourge by A.G. Henley: Awe man this book is….there’s just no words for it. Suspenseful, amazing, emotionally charged, entirely unique 😀 I wouldn’t say this is a zombie story per say, but I wouldn’t say it isn’t either. You just have to read it. I can’t really say anything about it without spoiling it for you! 8. 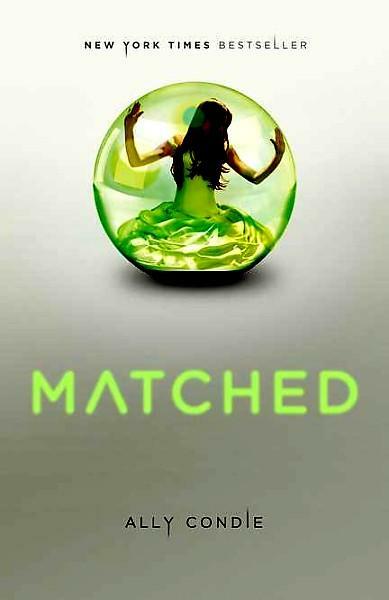 Matched by Ally Condle: This book started my dystopian addiction. It is part romance, part sci-fi and it is great! Set in the future, the human race on the brink of extinction, has a matching ceremony. During the month of your seventeenth birthday, you are matched to your future husband/wife, the person who according to the government will yield the best offspring. Yep it’s that kinda book and it’s got a nice even mix of romance and suspense. 9. daynight by Megan Thomason: This dystopian isn’t just a dystopian, it’s also fantasy and the majority of the book is set in a different world. If you like fantasy and have been wanting to try dystopian, I highly recommend you check this series out. It was one I couldn’t set down even if I tried. 10. The Legion by Melissa Delport: This book is new, and in fact I read it just this past weekend. But oh my! It was great. This book falls into a new adult/adult category and if I had to compare it would say that it is similar to The Hunger Games. Edge of your seat action, a tad bit of romance, and lots of tears (at least for me), this book is a must read if you are looking to try a dystopian. What books would you recommend for a dystopian newbie? This is a great list! I will definitely be checking out the ones I haven’t read (The Legion, The Moon Dwellers, Under the Never Sky). Good job! Under the Never Sky is a must! I think I’ve read the entire series all the way through at least three times 😆 Thanks for stopping by! cool list – sounds like I have a few more books I desperately have to check out. I think I am going to start with Matched, now that could be interesting! Love your blog! Matched is a great place to start especially if you like a little romance 😉 Thanks for stopping by! Yeah I stuck with indie authors for most of my list 😉 Through Glass has 6 episodes right now and the author posted yesterday that more are coming soon, which is good because she is the queen of cliffhangers! I just read The Legacy and its sequel this week and it’s amazing. I don’t know another way to say it. I’ve been recommending it like crazy. You won’t be disappointed 😀 thanks for stopping by!